More than $1.6 billion in unemployment insurance benefits was paid to individuals who did not seek work in fiscal year 2016, according to an audit from the Government Accountability Office. Unemployment insurance is paid to individuals if they lose employment with the general requirement that they actively search for work. For some states, this active search may require a minimum number of contacts a beneficiary must have with potential employers, submission of job applications, creating a LinkedIn account, going to a networking event, or visiting a job center. The audit was conducted to see whether or not unemployment insurance beneficiaries who did not actively search for work affected the program's level of improper payments. In fiscal year 2016, the Department of Labor's unemployment insurance program was the seventh-highest for improper payments among all federal programs. The biggest cause was beneficiaries not meeting work requirements. According to the report, while the federal law requires that there needs to be a work search requirement in order to receive benefits, states can determine what those activities are, and they can be vary from state to state. "Some states have formal warning policies that allow UI claimants to receive benefits after the first discovered occurrence of their failing to meet work search requirements while other states do not have such policies," the report states. "As a result, states are inconsistent in whether they report such benefit payments as overpayments, which could have an impact on DOL's reported improper payment rate." The report explains that the District of Columbia and 18 states have these types of warnings and do not count benefits paid to individuals who did not search for work as overpayments. "According to Department of Labor's estimates, over $1.6 billion in benefit payments were made to claimants for weeks for which they were issued formal warnings in fiscal year 2016," the report states. "DOL's analysis further shows that if formal warning cases had been included in DOL's calculation of the overpayment rates for fiscal year 2016, the nationwide overpayment rate would have increased by about 5 percentage points, from an estimated 11.1 percent to an estimated 16.3 percent." The Labor Department requires the improper payment rate be less than 10 percent for states, and if they exceed that they need to submit a corrective action plan to the agency. According to the audit, the agency can provide guidance to help correct the problem. 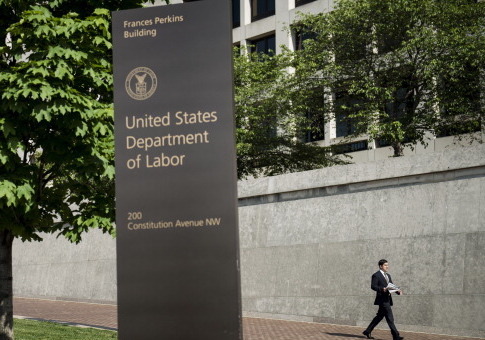 "In preparing guidance for states, DOL has an opportunity to determine and communicate how state policies on work search requirements and their related overpayment reporting should align with federal requirements and reporting expectations," the GAO said. "Providing specific information on any actions required and, if actions are required, setting timeframes for completion and monitoring states' responses to the guidance could help ensure that DOL achieves its desired results." Rosemary Lahasky, deputy assistant secretary at the Labor Department, said the agency concurs with GAO's description of the current state of play regarding state formal warning policies and is in the process of finalizing guidance about work search requirements. The Employment and Training Administration "is developing guidance to states on the use of work search formal warning policies when it is determined that a claimant failed to meet the state's work search requirements," Lahasky said. "The guidance will be finalized and released to the state [unemployment insurance] agencies once this OMB review has been completed." This entry was posted in Issues and tagged Department of Labor, Government Spending, Government Waste, Unemployment. Bookmark the permalink.